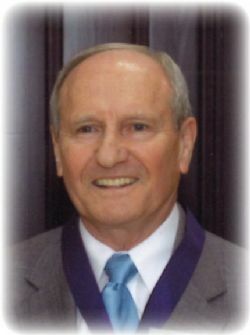 Dennis C. Fulmer died at home on April 12, 2019. He was born October 2, 1934 to Andrew and Dora Hegi Fulmer in Conway, AR. He was preceded in death by his parents, brother A.J. Fulmer, and sisters Corine Ledbetter Shock and Hazel Maxine Mason. He is survived by his wife Wanda, son Dennis Jr. both of Conway, and several nieces and nephews. Dennis was a member of First Baptist Church. Dennis earned his Bachelors and Masters Degrees of Physical Education from Arkansas State Teachers College, now UCA. He began his coaching and teaching career at Jacksonville Public Schools before moving to Conway in 1964, where he coached football and became Athletic Director at Conway High School. He retired from Conway Public Schools in 1977, and work in private business until his death. No services or visitations are planned at this time.